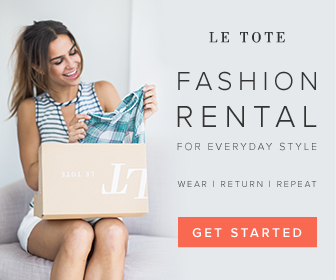 Le Tote is a subscription box where members receive unlimited women’s apparel and accessories every month. Members can wear everything for as long or as little as they want, purchase what they love, send the rest back, and Le Tote will ship a new box immediately! There’s even a Maternity subscription option so expecting moms can stay stylish! What do you think about Le Tote? ← JackedPack: New October Sign-ups Get 18 Samples + a Shaker!